2017 has been a banner year for independent animated films. I wouldn’t be surprised if my top animated films ranking at the end of the year has 7 or more indies in the top 10. They have just been that good. All that said, now we get to one of my most anticipated indies of the year, Loving Vincent, and I must own to being a little disappointed. What the animators have accomplished is a great achievement but unfortunately it is not a great movie. 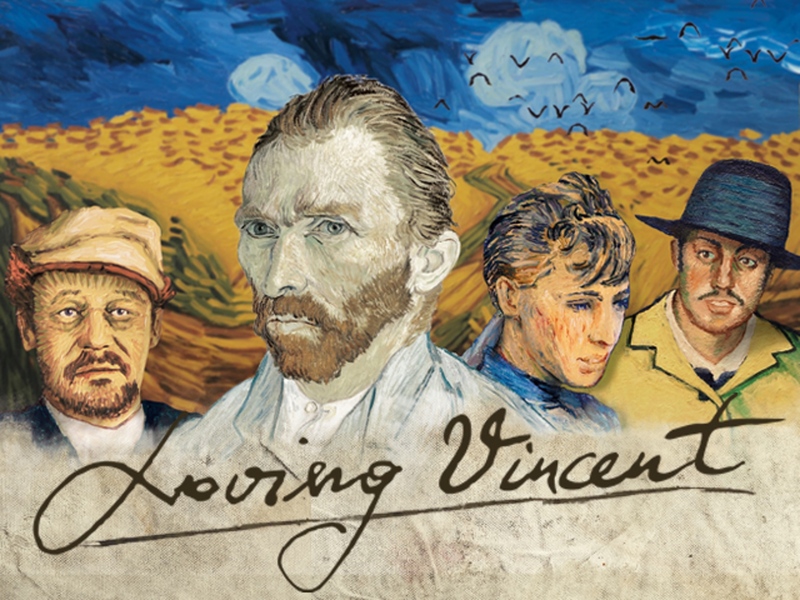 They also got a strong vocal cast for Loving Vincent including Chris O’Dowd and Saoirse Ronan. The problem lies with the story. 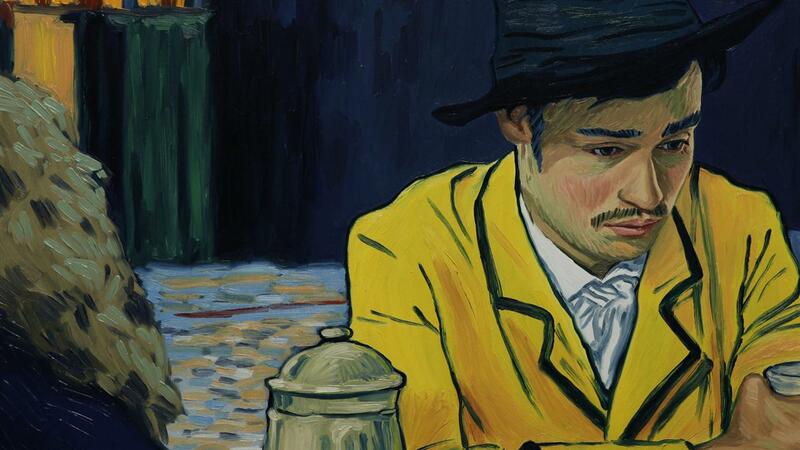 I’m fine with artistic movies with little plot like A Ghost Story or Knight of Cups; however, Loving Vincent isn’t that kind of art film. No, it has a plot. 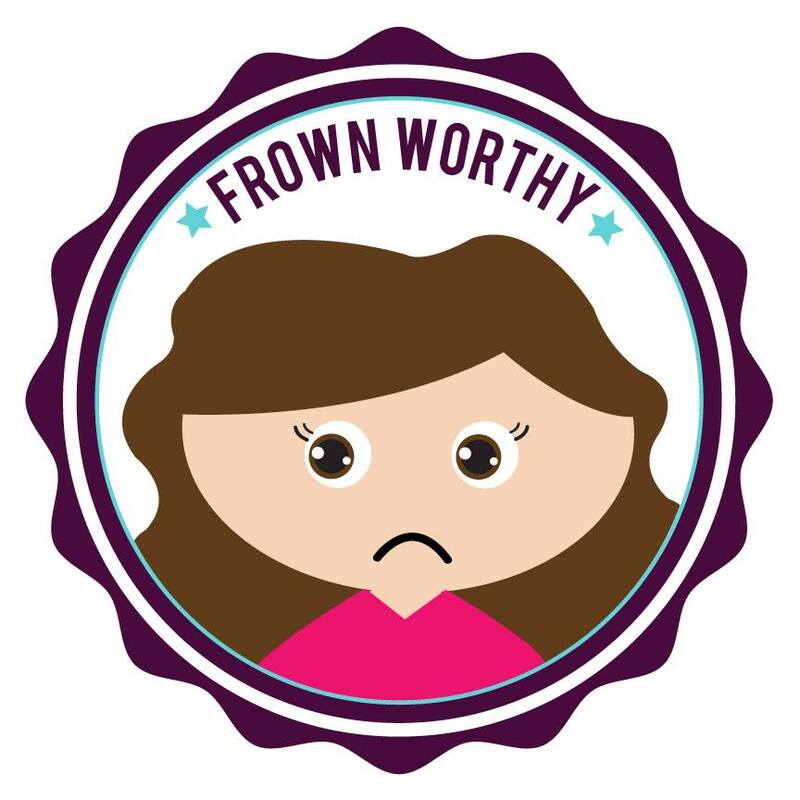 It’s just not a very good one. The problem is it doesn’t have much to say about life, death, suicide, art or anything else. It’s just Armand interviewing a bunch of people and them reciting back facts. If this was a live action film it would never see the light of day. There just isn’t enough meat on the bones here to enjoy the story. The characters are also not very compelling. Armand is very bland and most of the other characters are kind of cold and cruel. Van Gogh isn’t even compelling because we get so little of him and it is mostly through cliches. This is a man who cut off his own ear and mailed it to someone. Certainly his story must have been more interesting than this? 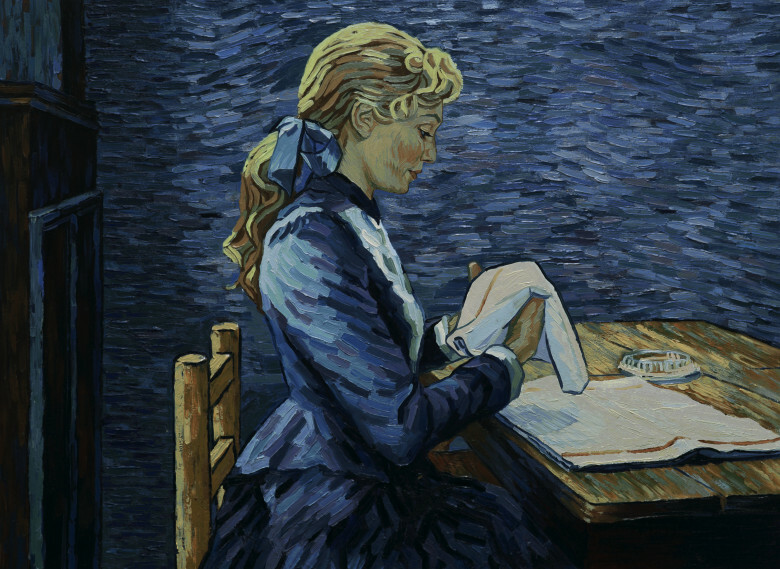 Loving Vincent is certainly not a bad film and I recommend seeing it if only for the visuals. It’s just disappointing because it could have been great and it isn’t. But hey at least we got something fresh, new and beautiful to look at. I’ll take that deal any day. Based on your description, I think this plot could have worked if they had just tweaked it a bit. Take out the guy searching for the true and let the audience be the one searching for it. After all, the point is obviously to incorporate as many of his paintings as possible. So just go into this and then let the paintings talk to the audience, pulling together stories about his live, as if the audience itself is on a journey trying to discover the artist behind those paintings – only to be left with a lot of questions and a deep sadness that his live ended so tragically. Btw, I am a firm believer in the “he had morbus Meniere” explanation, simply because it makes the most sense. A lot of his paintings to look like vertigo attacks and the constant tinnitus might have driven him crazy enough that he cut off one of his ears just to make it stop, only to discover that it won’t make a difference. Shame the movie didn’t turn out so good as the visual style seems very unique. If you’re interested in a good story about Vincent van Gogh, there is an episode of Doctor Who called ‘Vincent and the Doctor’ where Matt Smith’s Doctor meets him. It’s one of my favourite episodes of the whole show; plenty of historical figures have appeared in Doctor Who, but more than any other story, this one really felt like a celebration of the figure it was portraying. 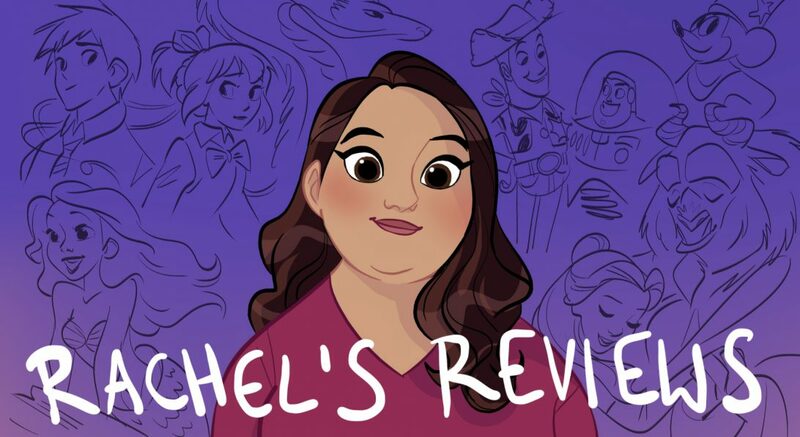 Pingback: 26 Eligible Oscar Animated Feature Films Announced – Reviewing All 56 Disney Animated Films And More! I am so disappointed to hear that this movie isn’t all that good. When I first heard about it I thought it would make a fantastic homeschool film. Use an artist’s art to tell us about the artist! So I’m kind of sad that this didn’t work as a narrative. 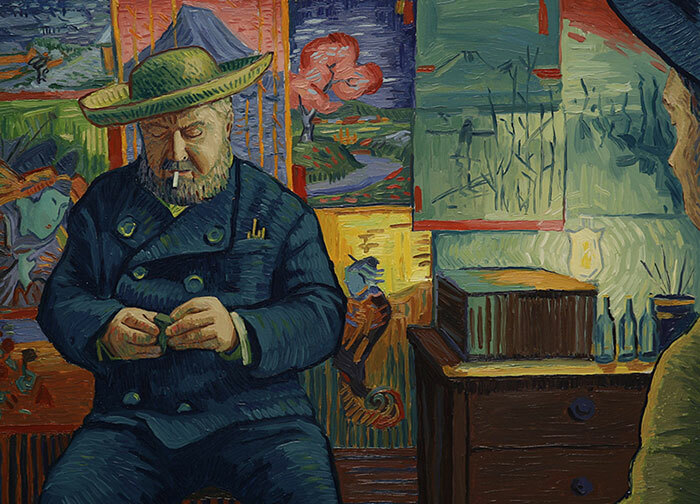 I just wrote a blog post about Loving Vincent in my film blog that I just started. I am very excited about it and I would be very happy if you’d like to see it. Would definitely love your feedback!